Shark conservation continues to make progress and continues to run up against serious challenges simultaneously. It's a long road that will need to be traveled to reach the ultimate goal of seeing decimated populations of iconic shark species begin to return to some level of normalcy, but it's a trip worth taking. 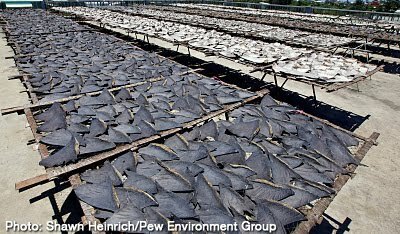 One of the biggest challenges the movement faces is demand for shark products, particularly shark fins. 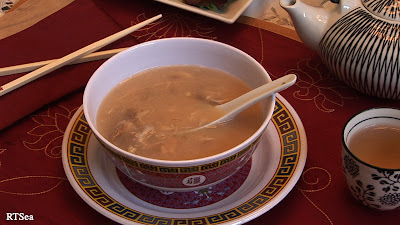 The shark fin market is centered in Asia where a long cultural history wrapped around the use of shark fin soup as a past symbol of royalty and prestige, today exists to exemplify new wealth and a growing upper middle class. Asian culture has also been a protective and sometimes isolated one and so outside admonitions, under threats of being labeled "Asia bashing", can often fall on deaf ears. What has been encouraging is evidence of a slow change taking place within Asia itself. Fueled by conservation messages coming from Asian environmental groups, the press, and international organizations like WildAid, more and more restaurants and hotel resorts in places like Singapore and Kulala Lampur are refusing to serve shark fin soup. Becoming a more frequent story in the Asian press, as reported by the Singapore-based AsiaOne News, "Sharks are slowly but surely winning the battle to keep their fins as the Chinese traditional dish is no longer a must-have at reunions and wedding dinners. Playing a big part is the Shangri-La chain, which declared that its 72 luxury hotels worldwide would stop serving the controversial dish from this year. [Director of communications for Shangri-La, Rosemarie] Wee said Shangri-La decided to join international efforts to stop the harvesting and trading of shark fins, which had severely depleted the population of the fish." Addressing market demand, changing a people's taste for shark fin soup - or all shark-related products, for that matter - is a slow process and it must be done very delicately with countries that do not respond well to external pressure or influence as it is often perceived as interference. Public relations campaigns often seem to focus on a younger audience, the next generation of consumers, that seem to be more receptive to new ecological thinking ranging from shark extinctions to over-population to fossil fuels and climate change. At the other end of the spectrum is another powerful nemesis and that is the economic incentive behind shark products and the tenacity of those involved in the business to keep things as status quo as possible. While recent political advances in anti-shark fin legislation or the designation of shark sanctuaries or protected zones has put some pressure on the commercial shark fishing distribution network, the more these businesses find it difficult to continue legally, the more we will begin to see illegal activities flourish. According to Israel's Haaertz.com, illegal shark fishing in the Mediterranean is on the rise. With 42% of the 70 shark species found in the Mediterranean to be in danger of extinction, shark fishing is illegal in Israeli waters. The Israel Nature and Parks Authority (INPA) has been apprehending fisherman who were illegally catching sharks and selling them along the Gaza strip and in Tel Aviv. With financial temptation overpowering legality, many are concerned as to whether enforcement will be able to keep up. Haaertz.com reported, "[INPA supervising director Ohn] Valency says that the authority doesn’t have enough supervisors to stop shark fishing. In recent weeks various organizations have accused European Mediterranean countries of failing to act forcefully to stop shark fishing." So, progress is being made but we can expect to see a rocky transition as market demand slowly erodes while the industry does all that it can to perpetuate the business. This will push some participants underground and enforcing state, national or international rules and regulations will be put to the test, straining available resources. Marine biologists often talk about declining fish populations reaching a critical "tipping point' that can signal the total collapse of a population and its ability to recover. As the conservation work continues on behalf of sharks, the commercial shark fishing industry could someday face its own tipping point. Let's hope that happens before the sharks face theirs.